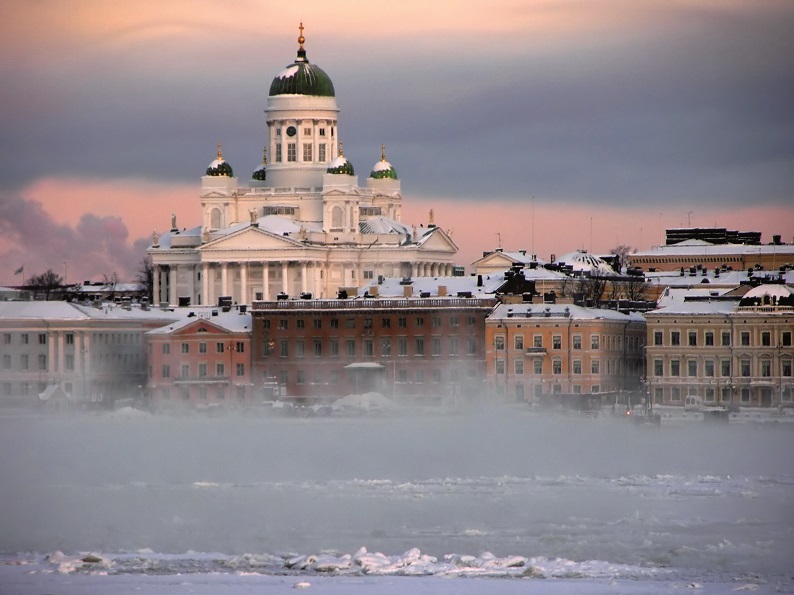 The Helsinki Cathedral is one of the most identifiable landmarks of the Finnish capital. 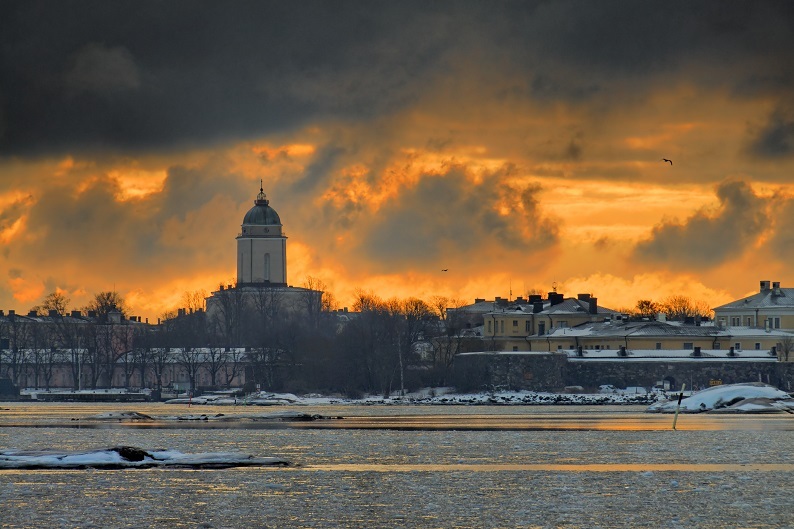 The architectural marvel with its tall green dome surrounded by four smaller domes stands out in Helsinki’s cityscape. Completed in the 1850s, the church was a tribute to Tsar Nicholas I of Russia (Finland was once the Grand Duchy of Russia). Unlike many of the Catholic cathedrals across Europe, the interiors of the Helsinki Cathedral are somber. 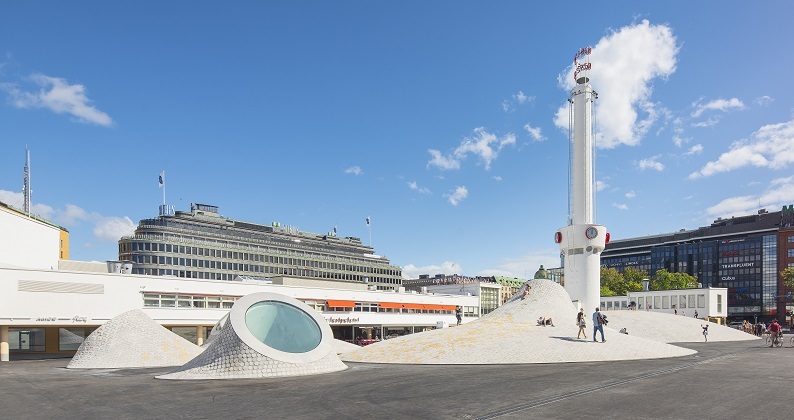 The cathedral is the final piece in architect Carl Ludvig Engel’s Senate Square. 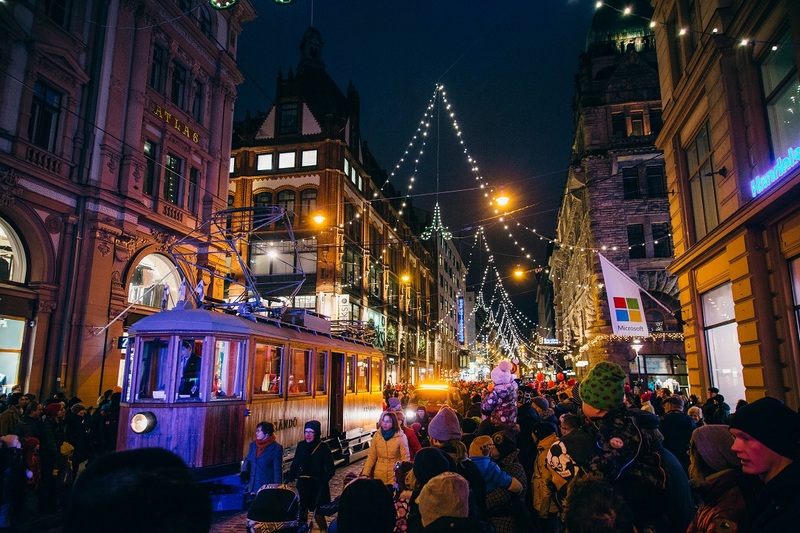 Walk around the area, and you will encounter his other buildings which include the Government Palace, the University of Helsinki and the Sederholm house. The Amos Rex museum is a world-class art centre that opened last year in Helsinki. The gallery space on the outside looks like an alien creature with bulging white mounds that have skylights that resemble eyes. The actual gallery space is underground. About 50 million euros have been spent on making this incredible new venue. Amos Rex is an annex to an older museum, the Amos Anderson Museum (the largest private museum in Finland). Amos Rex’s exhibition programme extends from the newest contemporary art to 20th-century Modernism and ancient cultures. During #EARS2019, Amos Rex will be showing works by René Magritte (1898–1967), the Belgian surrealist famed for his pipe and bowler hat. 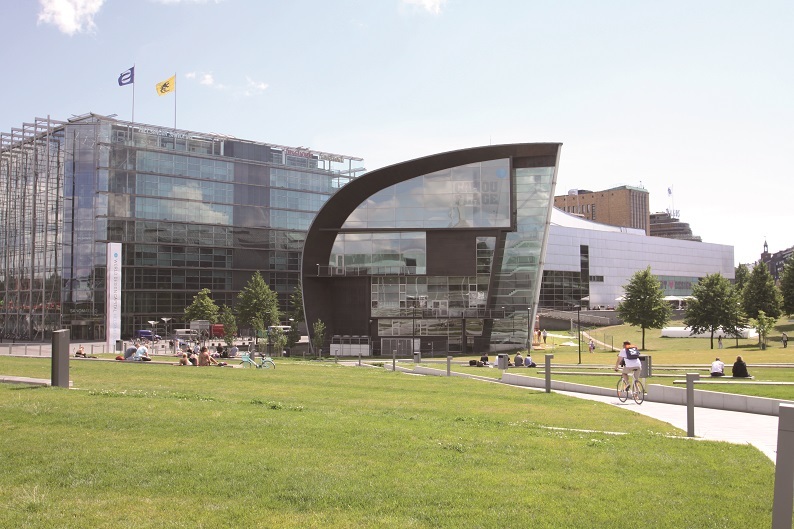 The Contemporary art museum, Kiasma is an architectural marvel and houses some of the most interesting art being made in the world today. Designed by American architect Steven Hall, the design of the building plays with how the light changes through different seasons and times of the day. On the conference days, you can check out some Baltic art as part of the exhibition Round Trip. The museum is showing work by 26 artists from Estonia, Latvia, Lithuania, Poland, Finland, and Russia. Also on show is Pilvi Takala’s solo exhibition which is a selection of her works over the past decade. Takala’s videos are social experiments where she inserts herself in workplace situations and breaks usual patterns. The Kamppi Chapel offers the perfect break to sit back and process all the information we promise to overload you with at #EARS2019. K2S Architects created the building as part of the World Design Capital programme. 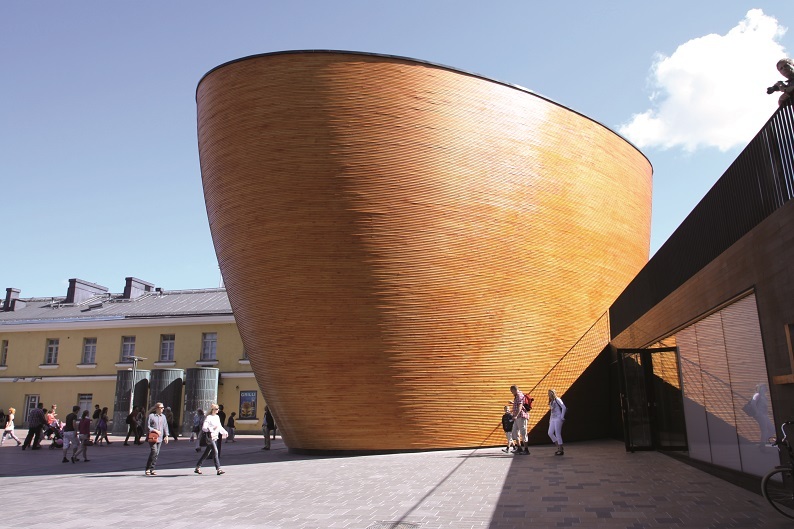 It has a flowing structure and a beautiful curved wooden facade. The interiors are at once welcoming and provide quiet refuge from the noisy streets outside. You have to take a boat ride through the icy sea to reach Suomenlinna which is a fortress built on an island. The day trip has many attractions which include museums, restaurants, events, etc. The fortress was built to protect the Swedish crown from Russia in 1748. There are guided tours through the fortress that will tell you more about its history. How to get to Suomenlinna.